Jiang Real Estate has compiled a detailed market analysis of 2018 residential real estate in Cuyahoga County and the greater Cleveland area. Please share it with friends who need to buy, invest or sell a house! If you would like further consulting and on-the-spot investigation, please call 440-249-0639 or add WeChat ID Ray4544860. We have a professional real estate team, legal team, Chinese and English bilingual customer service available to you! 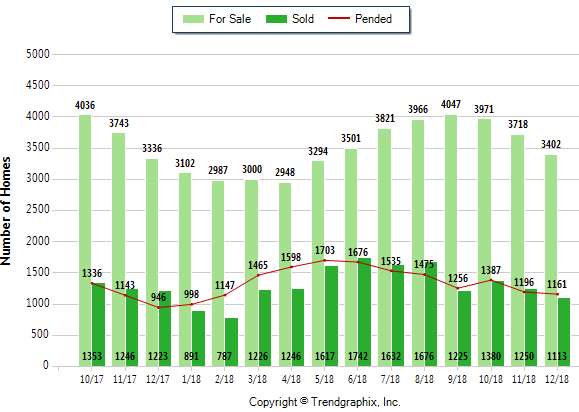 The figure above shows the real estate sales data of Cuyahoga County from October 2017 to December 2018. Taking December 2018 as an example, there were 3,402 houses for sale on the market, 1,113 houses that have been sold, and 1,161 houses have been signed (pending house inspection). The total number of houses sold and pending house transactions has increased by 4.8% compared with the same period last year. The average transaction price in December 2018 increased by 8.6% year-on-year. The annual average transaction price was $100.08 per sq. ft. The overall market showed a slight upward trend. Next, let’s focus on some popular areas. For example, Westlake is a Western Suburb and Solon is a Southern Suburb, both of which belong to Cleveland’s one-hour living circle. They have an excellent living environment, the best educational resources, convenient commercial conditions and access to medical resources. The figure above shows Westlake’s annual sales data. 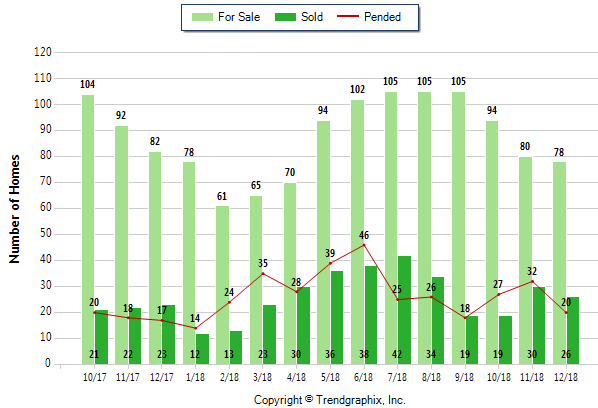 Taking December 2018 as an example, 106 houses are listed for sale, 40 have been sold and 31 have been signed (to be sold), which are basically flat compared with the same period last year. 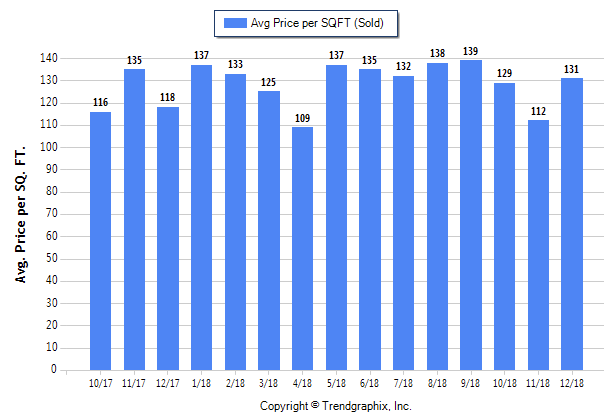 The average transaction price in December 2018 was $131 per sq. ft., up 17 percent from the previous month and 11 percent from the same period last year. 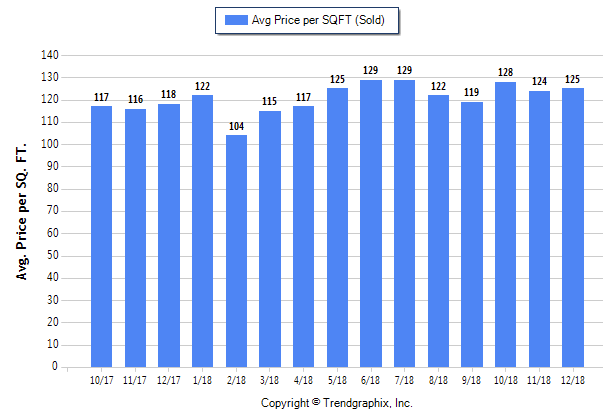 The annual average transaction price was $129.75 per sq. ft., an increase of 6.5% compared with the transaction price in 2017. Westlake, with its superior location, good school district, living facilities, and abundant medical and educational resources, is the best choice for self-accommodation and investment. 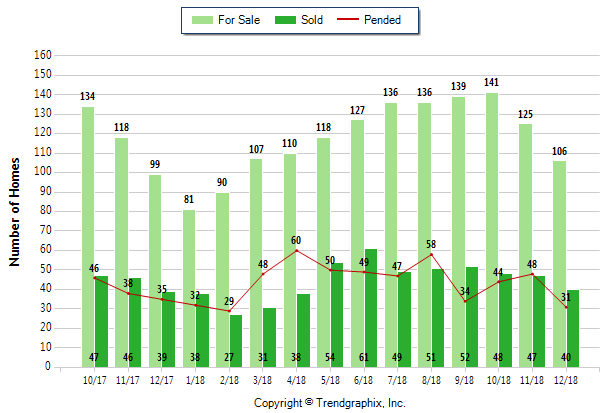 The figure above shows Solon’s annual sales data. In December 2018, for example, there are 78 listed houses for sale in Solon region, 26 of which have been sold, and 20 of which have been signed (pending to be sold), which are generally the same as the same period of last year. 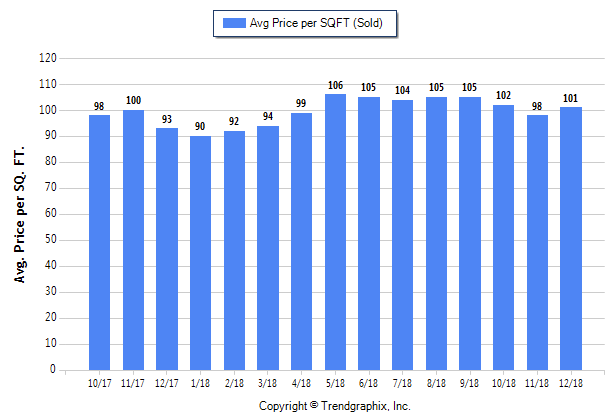 The average transaction price in December 2018 was $125 per sq. ft., up 5.9 percent from the same period last year. The number and amount of transactions in the whole year of 2018 show a trend of overall higher trend in hot areas. Thank you for reading! The above provides a brief overview of the real estate market in the greater Cleveland area in 2018. We can provide you with housing availability and data analysis for all regions. If you have any selling or investment plans, please call us for a consultation. 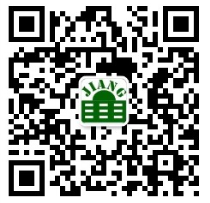 Our service hotline is 440-249-0639 (M-F 9:00am-5:00pm), or scan the QR code to join our WeChat group.